Printing | Pengad Indy Inc. When it comes to printing, Pengad offers our customers a powerful resource and a recipe for success. Listed below is a comprehensive list of services we offer. At Pengad, we combine state of the art equipment and talented employees to produce the quality printing that sets us apart. We accomplish this through a continuous improvement of products & services, and a commitment to surpassing our client's expectations. 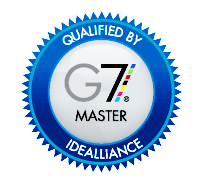 From any of our seven presses to our innovative packaging solutions, Pengad is your full service commercial printer. The Pengad production team consists of experienced personnel with hundreds of years of service in the printing industry. Daily production meetings are attended by managers, sales associates and customer service representatives. 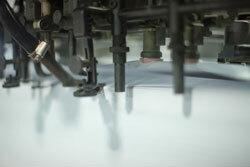 Each printed piece is discussed before, during and after the printing process to ensure quality. Every customer has a vision of their printed piece, it is Pengad's responsibility to make that vision a reality. Our press operators are among the most skilled within the printing industry. They, along with the production team managers, inspect and approve each job for placement, color accuracy and appearance. Once a job is approved by two production team managers, the press operator constantly monitors the job to ensure consistency and quality. Pengad's dedication to the most modern printing technology and employee training guarantees your project meets your expectations. We cater to your printing needs from the time you walk in the door until your printed pieces arrive at their final destination.